Bavaria's luxurious Cruiser range that was designed after long consultation with cruising yachies all around the world. The product being a very easy to sail, high performer, equipped for long distance or a day sail. 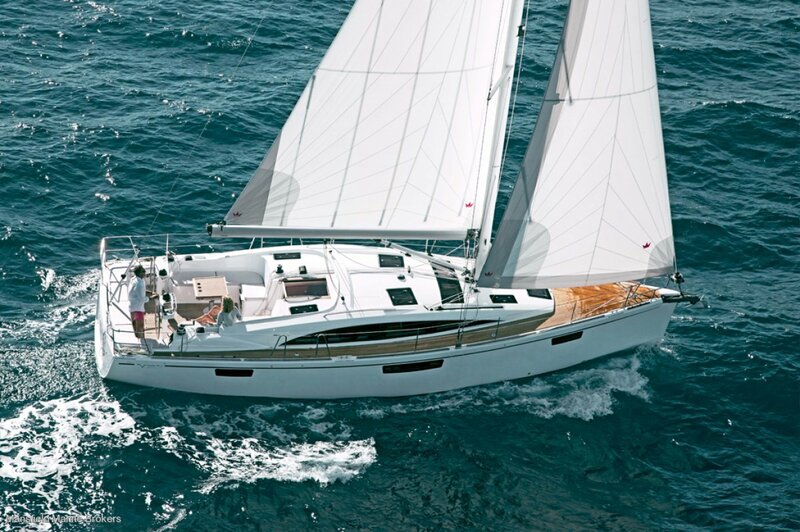 She is very versatile with single - handed sailing a breeze with the option to take new High-tech Trim Control. If the Vision 46 is anything to go by, she points well and is beautifully balanced through the helm. A joy to sail! The accommodation is quality, spacious and well - though out. With the little things that matter- Ventilation - Natural light - Solid finish - a real stand out! Many colour options and fabrics available to browse, as well as the many options and packages you can take to make the vessel your personal treasure! Year:	2019 Designer:	Farr Yacht Design Builder:	Bavaria Yachtbau Length:	42? (12.80m) Beam:	4.05m Draft:	2.07m Displacement:	9.8 TonnesKeel/Ballast:	Cast Iron Keel Hull Material:	Fibreglass/GRP Engine:	Volvo Penta Saildrive D2-55 (41kW / 55hp) Engine Make:	Volvo PentaHorsePower:	55 Fuel Type:	Diesel Propulsion:	3 - blade folding prop Fuel Capacity:	210 Galley:	LAYOUT: L-shaped Galley with complimentary island bench. Space for coffee machine or ice maker with AC outlet. Refrigeration:	YesStove:	2 flame gas cooker with ovenAccommodation:	SALOON: Lounge converts to nav table with movable seating to add to dinning table. Seating is L-shaped with durable upholstery. Sliding blinds on all windows. Many opening hatches for ventilation. Storage for your best bottle of wine! Cabins:	2 Cabin Layout Spacious forward master cabin with loads of storage and hanging space. Island bed, great for tall people. Special feature- dressing table with stool with great space for ladies. Aft cabin coverts two singles to a king with plenty of light and storage. Again, great headroom for aft cabin. Berths:	6Shower:	Yes- separate with screenToilet:	Yes plus Holding TankGround Tackle:	ANCHOR WINCH: Electric Windlass with remote and chain counter. Deck Gear:	6 x ALuminium Cleats, Pushpit, Pulpit, Guardrail, Rail opening on both sides, Bow fitting wioth Anchor roller.